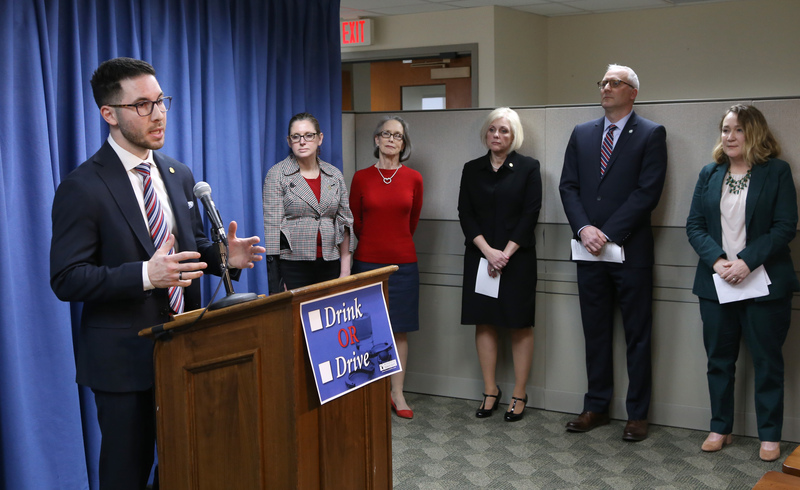 State Rep. Abdullah Hammoud’s bill package lowering Michigan’s blood alcohol concentration (BAC) threshold has drawn sharp criticism from a Democratic political foe. Brian Stone claims Hammoud is “legislating his personal preferences.” The lawmaker has fired back that he welcomes criticism, but not that which is rooted in Islamophobia. HB 4420 and HB 4421, sponsored by Hammoud (D-Dearborn), would lower the acceptable level to .05 from the current .08. HB 4419 would make Michigan the 34th state to require ignition interlock devices for all first-time convicted drunk drivers. Stone, a political consultant who lost to Hammoud in the state House Democratic primary in 2016, took to Facebook to blast the legislative effort. Stone also lost his 2018 Democratic Wayne County commission primary. In a post, Stone, who is white, argued that his former opponent is “legislating his personal preferences.” Hammoud is Muslim and does not drink. Stone was let go from now-Attorney General Dana Nessel’s campaign last year shortly after a video surfaced of him saying the “n-word” at a poetry slam event. He told the Advance on Monday that be believes other Dearborn residents agree with his stance and that he doesn’t think Hammoud “thought through” the legislation. Hammoud told the Advance on Monday that it’s “false” for Stone to say he’s “pushing forth some type of Sharia” law. “The only thing saving Michigan residents from Abdullah Hammoud’s punitive and discriminatory legislation is his own laziness and ineptitude. Abdullah has not passed one single public act or spending bill since coming into office. Upon introducing the legislation last week, Hammoud said, “We must address drunk driving, which is a completely avoidable epidemic. Hammoud’s motivation stems from a tragic January vehicular accident involving a Northville family returning home from a holiday vacation in Florida. Issam Abbas; his wife, Rima Abbas; and their three children were killed on I-75 in Lexington, Ky. Their vehicle was struck by a pickup truck driven by a drunk driver, according to a WDIV-TV 4 report. “These critical proposals will do more to prevent drinking and driving, and ultimately save lives,” said Hammoud. “We are proud to stand with Michigan to support this proposal that research shows will save lives,” said Witty, whose 16-year-old daughter Helen Marie was killed by a drunk and marijuana-impaired driver while rollerblading on a bike path. Proposing legislation to increase public safety is now forcing sharia law on the Michigan public? Is Stone really in the Democratic Party? I like the lock idea. But I’d go even further and make it mandatory on all new cars as well as cars of those caught drinking and driving.